Discover Detecting | Get Metal Detector Reviews and Treasure Hunting Tips! Using a metal detector can be a lot of fun, but figuring out which device to buy can be daunting. With a variety of brands and features, as well as a price range that can go from very cheap to quite expensive, we’re dedicated to helping you figure out which detecting device you should buy, and why it’s most ideal for your needs. 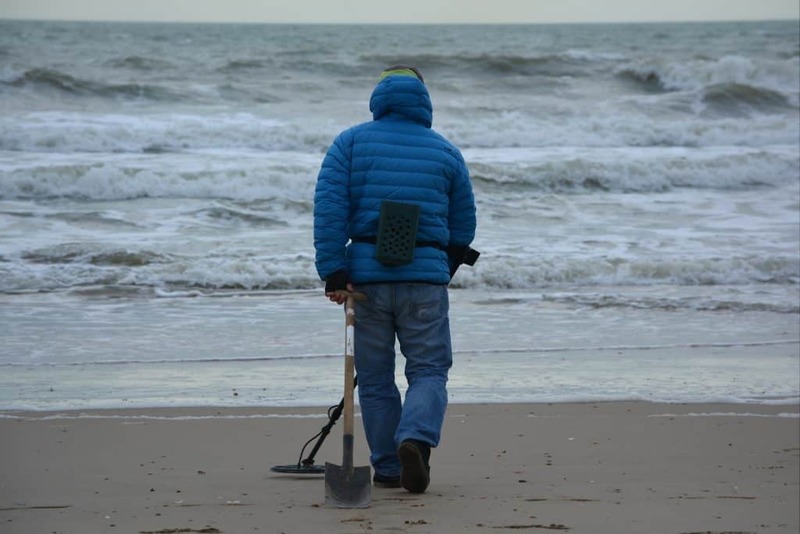 Discover Detecting is a site aimed at both metal detecting beginners and longtime enthusiasts. Poke around here and you’ll find helpful tips for unearthing buried treasure, details about metal detecting clubs and organizations, recommendations on the best detecting devices for land and water hunts, and in-depth reviews of metal detectors and related accessories. Metal detectors are a unique device, but they can be a little hard to know much about unless you actually use them. Unlike other items, like a computer or an instrument, you won’t really know what you’ll get out of your detector until you take it to a specific location and being hunting on your chosen plot of land and soil. 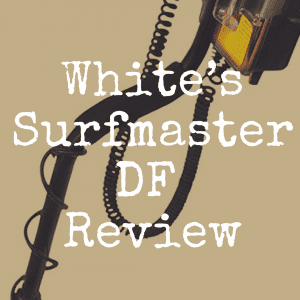 Because of that, we not only feel that providing you with reviews of metal detectors (and articles pertaining to the detecting hobby in general) can beneficial, but it can help you better determine what device is best for your very specific location and individual circumstance. What do you want to find? : If you want to start out and find anything and everything you can, there are many metal detectors that can search for coins, jewelry and even relics. If you want to specialize in finding a very specific item, such as gold, you will need to check for features in your new detector that will help you find exactly what want. Still, no matter what you want to find, there will be metal detecting features that specialize in finding that specified metal. Where are you going to search? : The area you plan to hunt can have an effect on what metal detector you want. Pulse induction metal detectors are best for areas where the ground is highly mineralized. If you plan to be anywhere near water, you should make sure your coil and shaft are waterproof. Remember that if you plan for children to use your detector, they will likely find water wherever they go, so a waterproof detector is usually a good idea. Now, understand that waterproof does not mean it can be submerged in water, so if you want to dive underwater and hunt, you will need to purchase a detector that is safe to be submerged. Areas that have a lot of trash need to be hunted with detectors that can notch out the trash so you don’t keep getting signals when what is found is just pull tops. Who is going to use the detector? : If you want the whole family to use the metal detector, think about purchasing one that is adjustable to fit each person. Many models are easily adjustable and not too expensive. Remember that the lighter the detector is, the better off you will be as you begin to search. Do note that a few pounds quickly gets heavy when you aren’t used to it. What size coil do you want? : While having a larger coil does allow you to search a bigger area with each pass, it can also be harder for a newbie to pinpoint where the object truly is in the area. If you are new to searching, you may want to choose a detector with a coil that is around 8”. This is large enough to cover an area, but also gives you a better idea of where your treasure is when the tone goes off. How much do you want to spend? : Metal detectors can be purchased for as little as $50, or up to several thousand dollars. Obviously, as a newbie, you will want to find a metal detector that has all of the features you want without busting your wallet. Will you be traveling to search? : If so, you may want to consider a metal detector that will easily come apart so it is easier to pack. Now that you know what to think about, you need to know how to find a detector that has all of the features you want. How to Find a Good Detector? 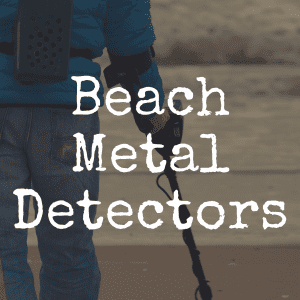 Now that you have decided what features you want in your metal detector, the hard part really begins–you have to find the best metal detector for you. One way to start your search is by asking friends and family what they use. Hunters have favorite machines and they enjoy sharing what they like and dislike about metal detectors or brands they have tried. 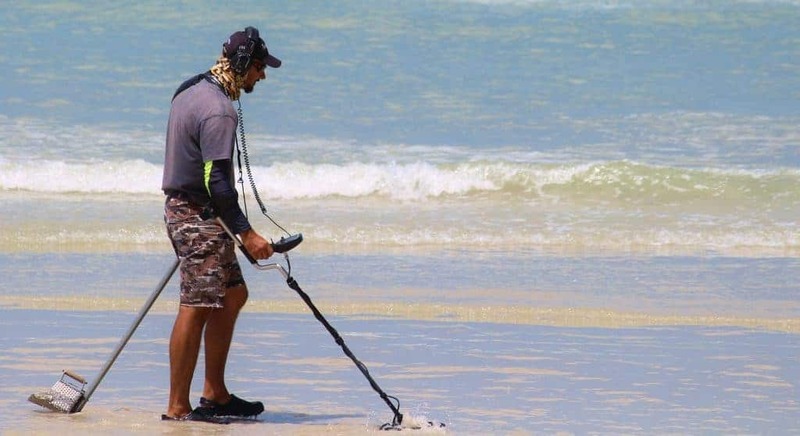 If you don’t know anyone who uses a metal detector, there are many forums on the Internet where you can post questions and treasure hunters will quickly respond. You are sure to get several opinions from people who actually use the devices you want to know about. They will offer their own advice, too, about what you might need. Many sites that sell metal detectors also have a “compare” button where you can choose two or three metal detectors and all of the information about those machines will be shared side by side, so you can easily see how one adds up compared to the others. Often, this information will include reviews from customers so you will have information from people who bought and used the different models. Once you have narrowed down your choices, the best way to choose a new metal detector is to go to the store and try out each metal detector. You will be able to see what style is most comfortable for you and what display you like the best. Some people really like the LCD display, while others like something more basic. You will also be able play with the controls to see whether you prefer knobs or push buttons. If you have a special item you want to hunt for, these metal detectors will help you find just what you want. When you want to find gold, you need to look for a metal detector that has been designed to find nuggets. These detectors use a higher frequency than other detectors and usually have manual ground balancing, so you can adjust the machine to the odd soil that often surrounds gold. They have calibrated discrimination so the detector can filter out metal alloys and only tone for gold. The Fisher Gold Bug 2 is the detector for finding gold. It has three ground balance settings so it can be easily changed to suit the area being hunted. This one has an iron disc setting so it rejects any iron and hotrocks you do not want to find. It comes with a standard ten inch coil, but you can change it to a different size easily. The biggest drawback to this metal detector is that it is slightly heavier than other models at three pounds. The best metal detector for finding jewelry is the Garrett GTI 2500 Pro Package. The coolest thing about this detector is that you will actually “see” what is buried before you dig it up. That’s what the graphic target imaging (GTI) offers you. This imaging will tell you how deep the object is and how big. This helps you know whether you want to bother digging up the object, or if it would be a waste of your time to do so. Technology like this does not come cheap, however, and this is the biggest negative of this awesome machine. It costs approximately $900, and can actually be a little bit more expensive at certain locations. With that said, it has 24 notch discrimination settings, so you will only get a tone for the jewelry you want to find. It is waterproof for searching the beach and other shallow water, as well. It also has automatic pinpointing, so you won’t have to dig a huge hole to find your treasure. For the best results when you are using your metal detector in deep water, you want to choose a pulse induction model. Some pulse induction detectors have a problem avoiding trash, but the technology of the Garrett Sea Hunter Mark II allows you to avoid the junk while you dive for treasures. You can dive up to 200 feet deep with this detector and it comes with submersible headphones. It has an all metal deep-seeking mode and full range discrimination. It can easily be used on land, also. While this metal detector is easy to use, you will need to learn how to use all of the features, so if you really want a turn on and go model, this may not be the one for you. When you decide to hunt on the beach, you need to remember that salt magnifies any normal ground minerals and causes many detectors to give false positive tones. To prevent this, you need to purchase a detector for use near salt water. For a newbie, a Garrett Ace 350 is the best choice. It is reasonably priced at around $300 and has all of the features you need to hunt near salt water. This model separates trash from treasure and searches deeper than many other detectors in this price range. It is lightweight and uses a higher frequency so you can find smaller objects. It has five search modes plus a pinpointing feature. Few things can be as exciting as digging up an item that was lost hundreds of years ago. To do this, you will need a detector that has a ground balance adjustment. You also need to think about the frequency of the detector, as low frequencies will find your objects easier. For a beginner, you should try the Tesoro Vaquero detector. The cost of this detector (about $450) is a negative for many that are just starting out, but it is a great device. The best part of this model is the how versatile it is. You can manually adjust the ground balance more than any other model to help you search highly mineralized soil for your relics. This is an excellent detector for relics, but also works well for other items you might want to look for. Anyone that is new to metal detecting might want to try a less expensive detector to see how much they enjoy the hobby before investing a lot of money. For under $100, you should check out the Treasure Cove Sand and Surf. This detector can find coins that are almost 5” deep and can distinguish iron and steel from silver and gold. You can choose to use a very low frequency or two target modes and everything (sensitivity, discrimination and ground balance) is adjustable so you can easily search anywhere with it. The coil is even waterproof, and the machine itself is lightweight and comfortable to use. If you like fancy displays, you won’t want this detector as it only has a simple display and not an LCD one. But of course, this is a very cheap detector in terms of price, so you’re if you were to buy this, you do so knowing that you’re sacrificing some ideal features for a more favorable cost. When you are searching trashy areas, you need a machine that can easily distinguish trash from treasure. The Garrett AT Pro is the best at finding good things among all of the junk. It can even be used in salt water and still find the metals you want. It gets amazing depth and the target ID accuracy is amazing. It is a little more expensive, around $450, but it has another feature that makes it a detector you will definitely want to consider. It actually has a standard mode for people that are just learning about metal detecting and then a pro mode for people with experience. So, you could buy this as a beginner and it wouldn’t be a detector that you would “outgrow” any time. This detector will find almost any metal you want, and in any ground type to boot. The only thing you might not like is that you cannot dive underwater with this unit. It is waterproof if you’re in just a few feet of water though, so you can search along beaches and in shallow water areas. The price may seem a little high if you are just beginning, but with all of the abilities that this detector possesses, it just might be worth the extra expense. Now, the best metal detector for coins will ideally have a great target ID feature that will show you what you have found, as well as a tone to let you know that coins are what’s buried beneath the surface. If you are hunting in ground that is highly mineralized, make sure the detector you choose has a ground balance control. And in our opinion, a good entry-level coin detector to consider here would be the Bounty Hunter Legacy 1500. It has a price tag of a little over $100, so it isn’t too expensive. This detector has everything you need to find coins in any area you want to search. It has a great target ID feature, a huge LCD display and a depth indicator. This detector is very sturdy and was built for the comfort of the user. The best thing is that this is a “turn on and go” detector. This means that the learning curve is slim to none, so you can essentially turn it on and begin searching for coins immediately. We used several guidelines in choosing a metal detector that was best suited for each situation. Whether the detector could be used for more than one type of metal and if it had the ground balance adjustments are two of the main features we looked for. It should be noted, too, that even the detectors we chose that specialize in certain situations (like finding gold or coins) are still quite good for hunting down other metals too. Being versatile is very important in choosing the metal detector, especially if you buy one that’s expensive. We did consider price as a factor, especially for beginner hunters, because we know everyone wants to find a quality detector for the right amount of money. Starting a new hobby is exciting and few are as much fun as metal detecting. Not only will you be getting some great exercise, but you have the opportunity to make some real money by selling the items you find (if you happen to get that lucky on your treasure hunts). Still, you shouldn’t get into this hobby because you think you’ll find a rare jewel or buried gem that’s worth six figures. You should get into it because you find the hobby fun and exciting, and you’re thrilled to enter into a tightknit community of detectors that both respect the land they search but also can’t wait to find their next buried treasure. 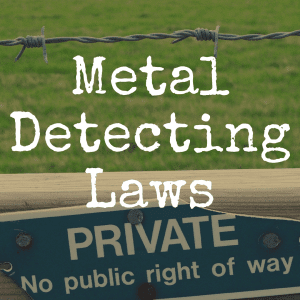 For more articles on detecting, as well as learning about our latest reviews of metal detectors, be sure to bookmark our homepage!